I have such a fun DIY project for you today. 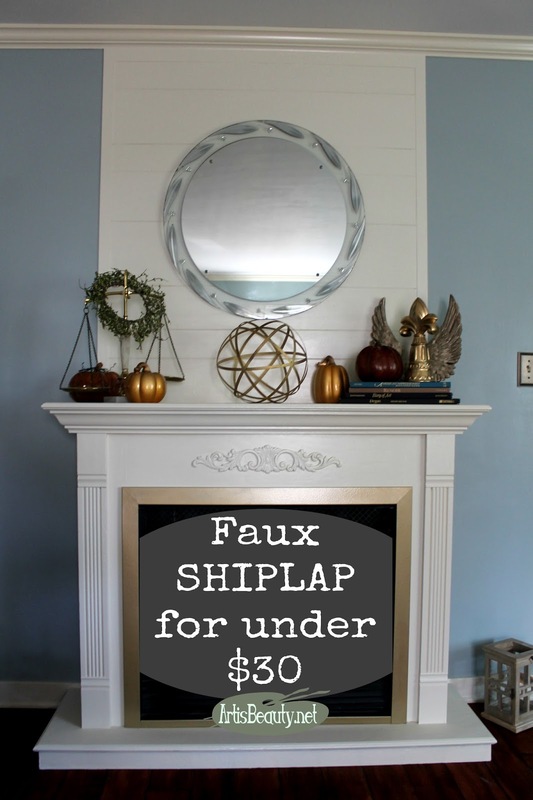 I decided to do some FAUX ShipLap...you know.. I was going to be making over looked like in the beginning. Way back in my blogging career I made over this Goodwill Fireplace. and making it the center point of my living room. but could just never make a final decision. 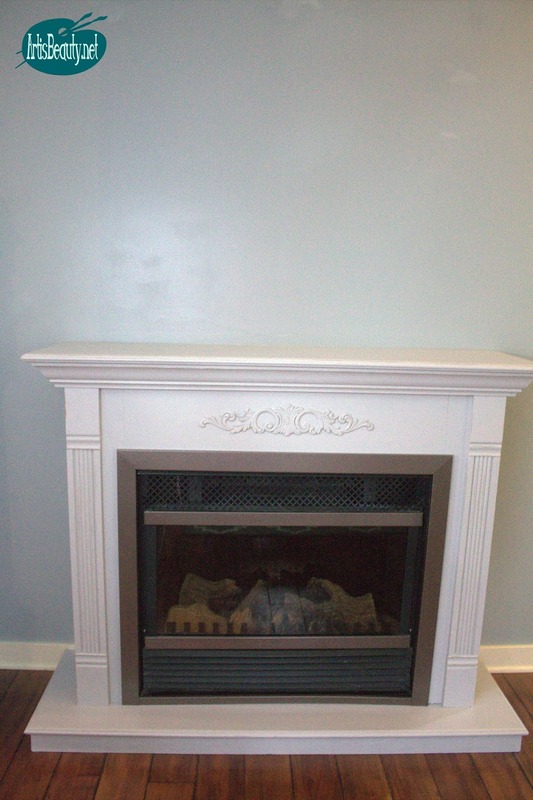 I had toyed with faux brick but thought it would look weird only doing a small section above the fireplace. I decided to do a simple shiplap style backing. 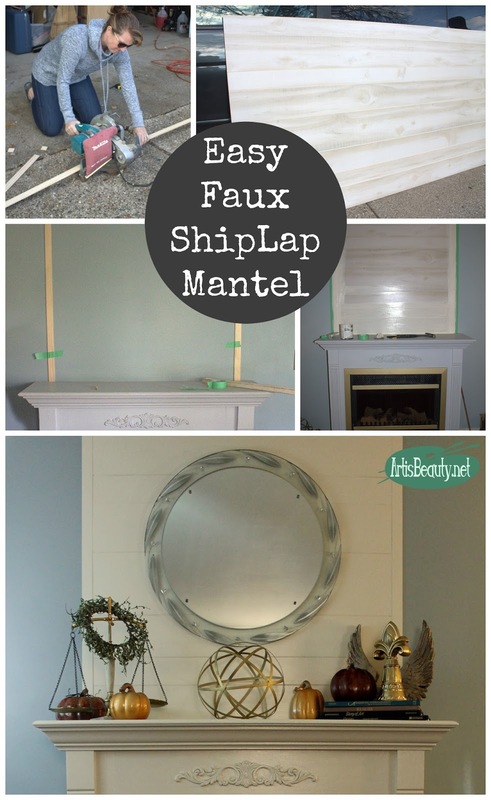 I started with my blank slate to prepare for my shiplap. I loved that it had multiple different sections, giving it more detail. 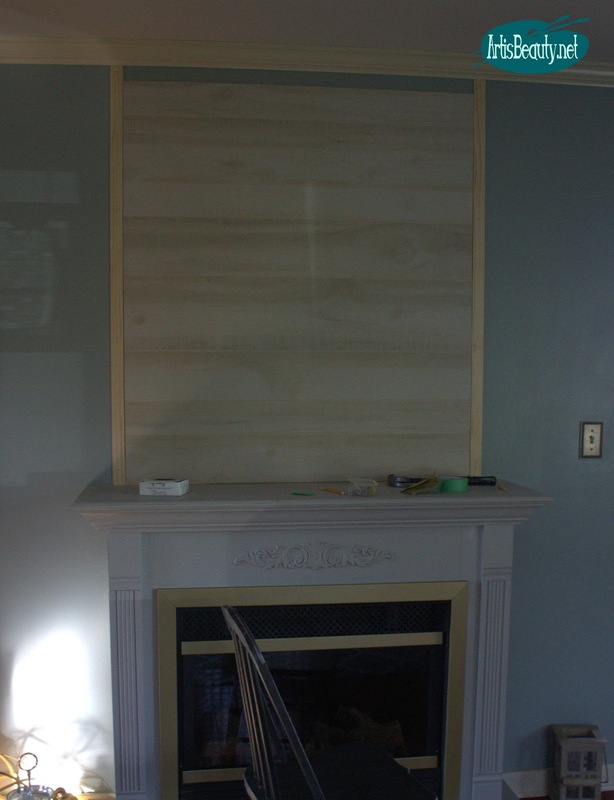 I only needed 2 of them in order to trim around the outside and the top of the panel piece. 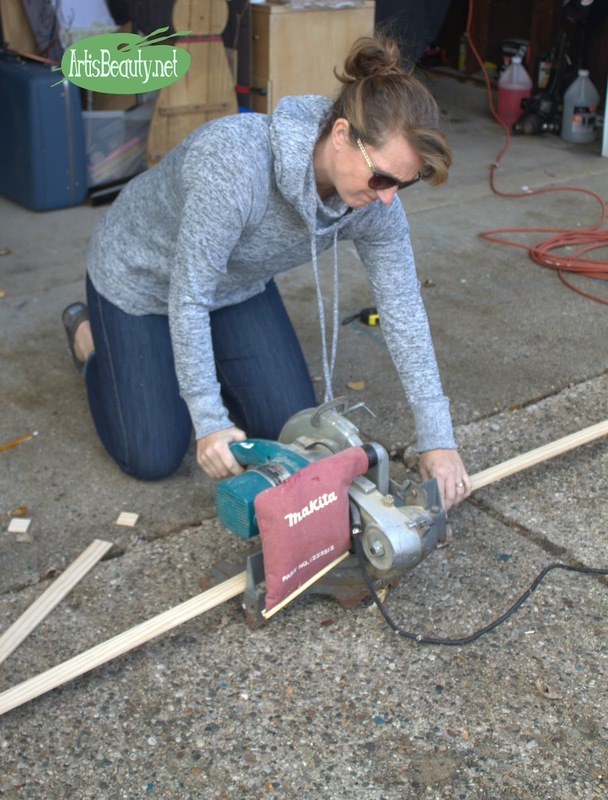 Before I cut the paneling I wanted to know how wide I needed it so I decided to cut my lattice first. This way I could visualize how wide I wanted it. 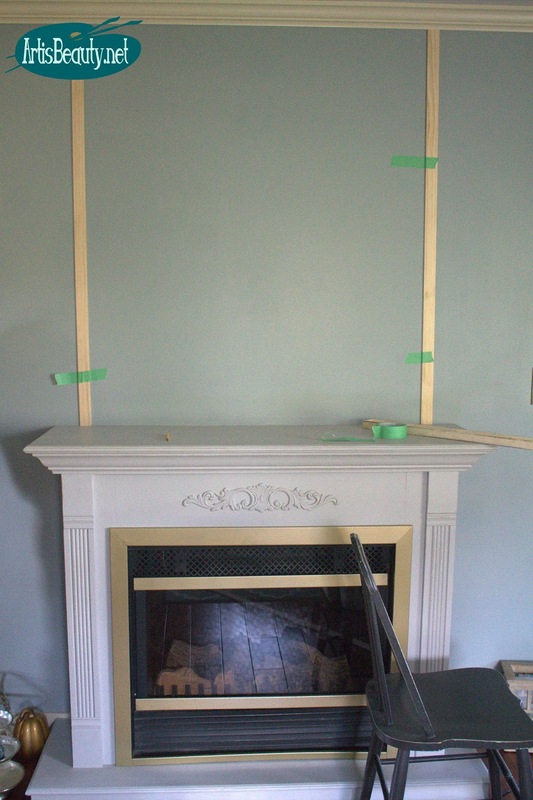 I decide to keep the ends even with the columns of the fireplace on the bottom. since I was cutting it sideways instead of putting it straight up like normal paneling. and then nailed up the top lattice piece. 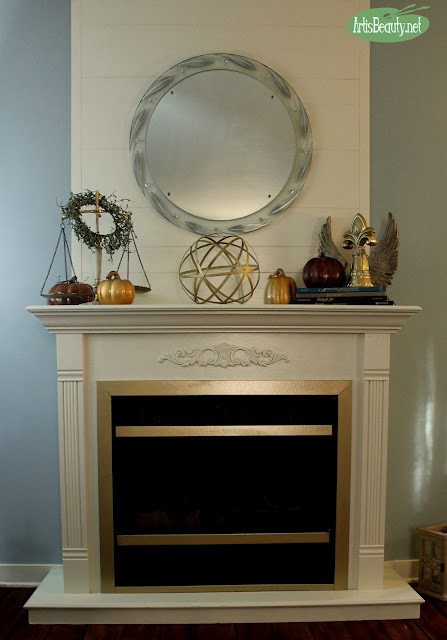 This was a nice way to lead into the crown molding giving it even more detail. 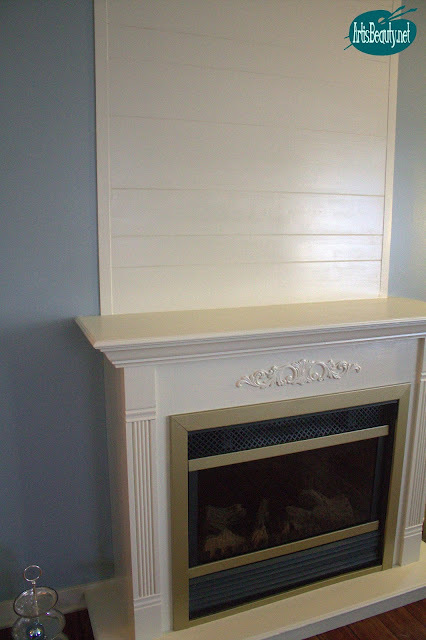 Once it was all up I could use paintable caulk to fill in any gaps and give it a couple coats of paint to match the rest of the trim and fireplace in the living room. 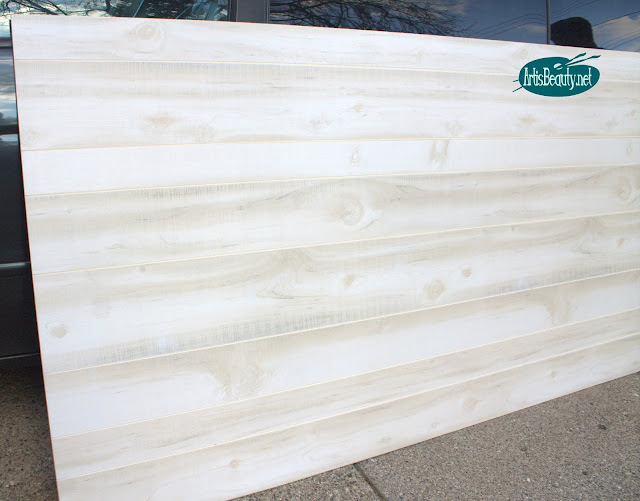 I also lightly used a light gray paint in the ridges to highlight the different planks. I loved how it looked and it changed the whole look of the room. Next it was time to decorate it. 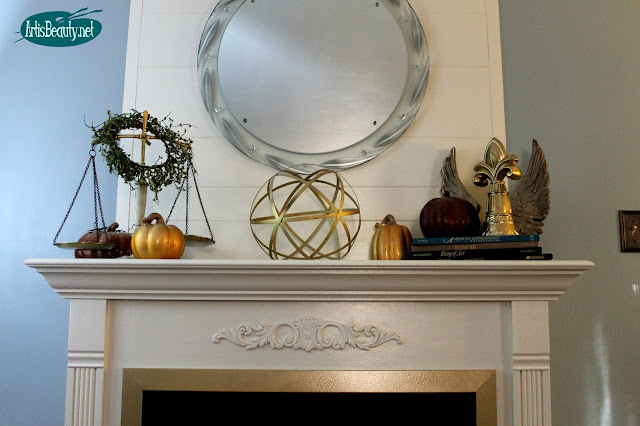 I finally had a place again in my living room for my vintage round art deco mirror that was my dads. I placed it in the center and decorated from there. I added all my fall harvest decor and different color metallic accents. 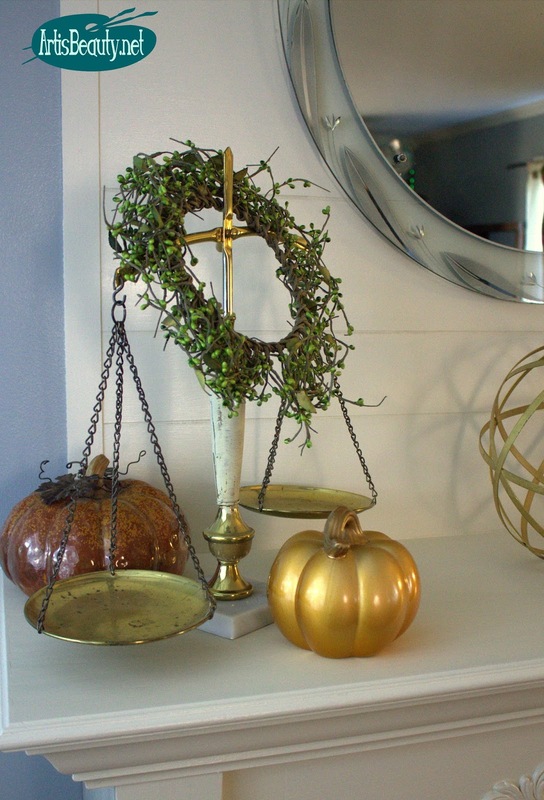 I love how the different metals look together. and for the time and money it made a huge impact on the room. I had transformed my fireplace. I hope you enjoyed this latest DIY project. I had so much fun and was thrilled at how little time it actually took. 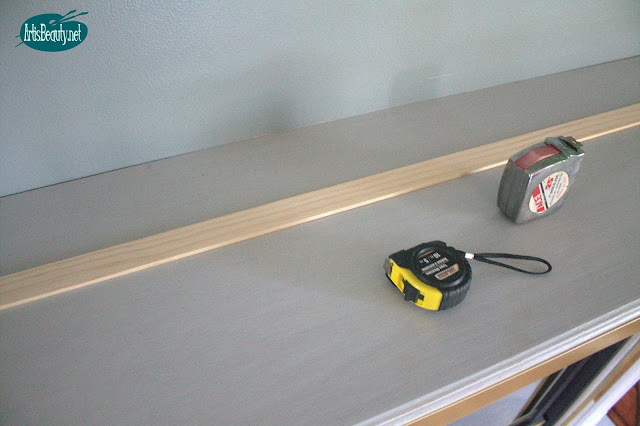 for more DIY in the coming weeks.